Not in friendly terms with numbers? Has been a "long time" since the last time you've used figures to "figured it out"? So... before tackling "loaded courses" (like ELTEC 208) start refreshing the mechanics of "technical thinking". This course offers step-by-step procedures for technical measurements, calculations, and applications for electrical and mechanical technicians. The course will include methods for solving practical problems involving accurate measurements, estimations, and application of formulas. Methods will include unit conversions, measurement tolerances, accuracy, repeatability, ratios, and graphing. Analyze electrical and mechanical measurements and convert their values into alternate units (i.e.- US Standard to SI). Calculate losses, efficiency, useful output, or operating cost of electrical or mechanical equipment based on measurements. 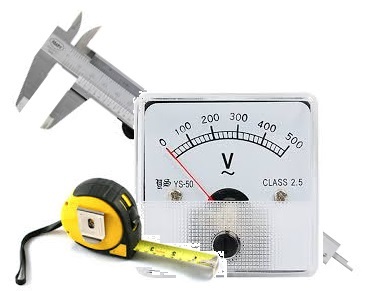 Using measured values, solve an electrical or mechanical formula for any of its unknown variables.